Scoop, fold into half, pleat and pinch. Soak the dried shitake mushrooms in a bowl of hot water for 15 min. Squeeze out the water and dice the mushrooms. Put the diced mushrooms in a large bowl. Rinse the wombok leaves and pat then dry with paper towel. Coarsely dice them and put mix the coarsely diced wombok leaves with 1 tsp salt in a bowl and leave it for about 30 min to remove the moisture. Using a spoon, press the diced leaves in a sieve to squeeze out the water. Then, put the wombok leaves into the bowl containing the diced mushrooms. 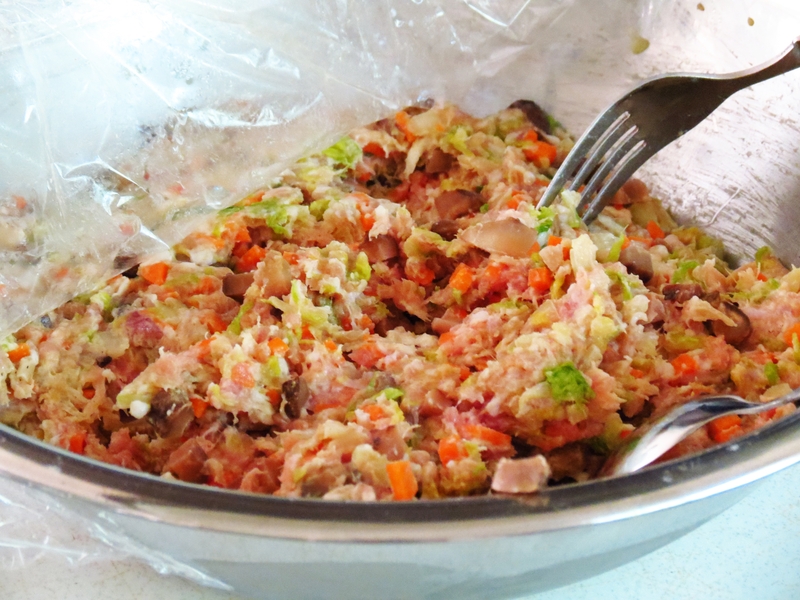 In the same bowl, combine the rest of the ingredients and mix them well. 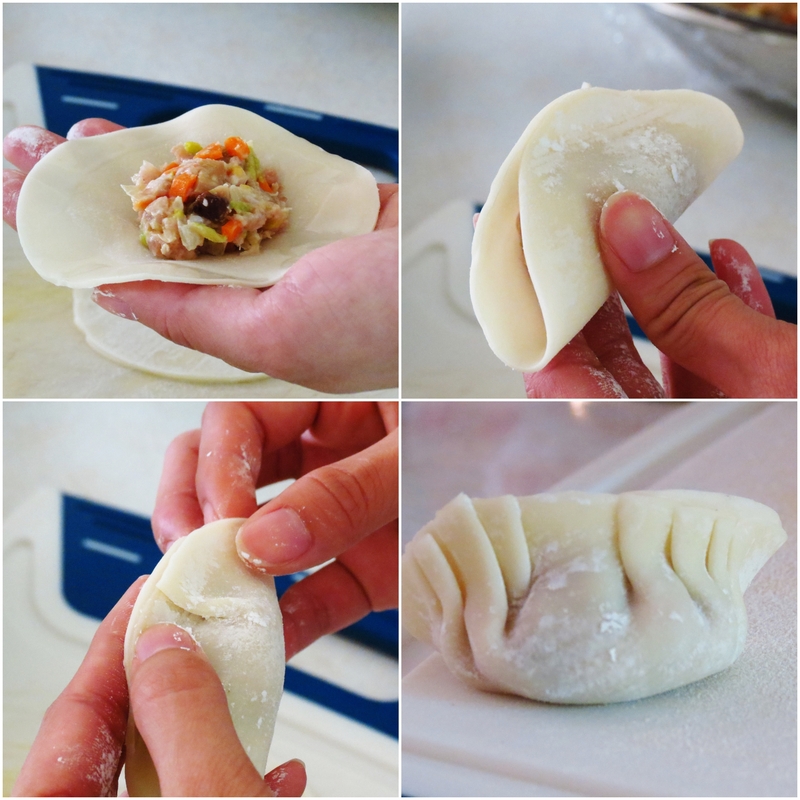 Place the round dumpling wrapper flat on your palm. Using a teaspoon, scoop the filling place it in the middle of the wrapper. Do not put too much filling or else it’ll burst during cooking. Dip your finger in a small bowl of water and wet around the edges of the wrapper. Fold the wrapper into half. On the right end, make a small pleat fold on the side of the wrapper facing you. Repeat the same for the left end. Press the pleat into the back wrapper and pinch them FIRMLY together to seal the edges. 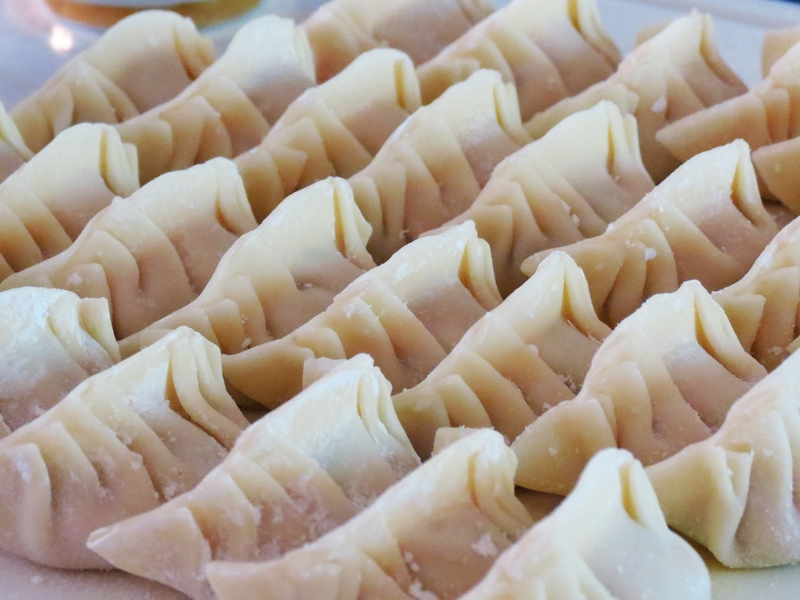 Cook the dumplings in batches. Heat 2 tbs oil in a wok over medium high heat. 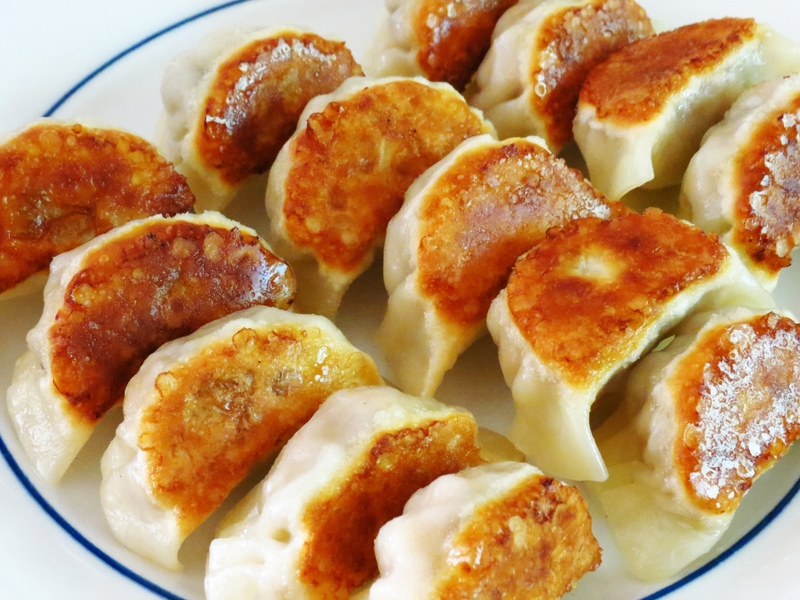 Arrange the dumplings flat side down and let it fry for 1-2 min. Add 1/4 cup of water into the wok and cover it with a lid. Let it steam for 5-6 min. Open the lid, let the remaining water evaporate. Remove the dumplings and serve them warm. Repeat Step 4-Step 7 for the next batches. 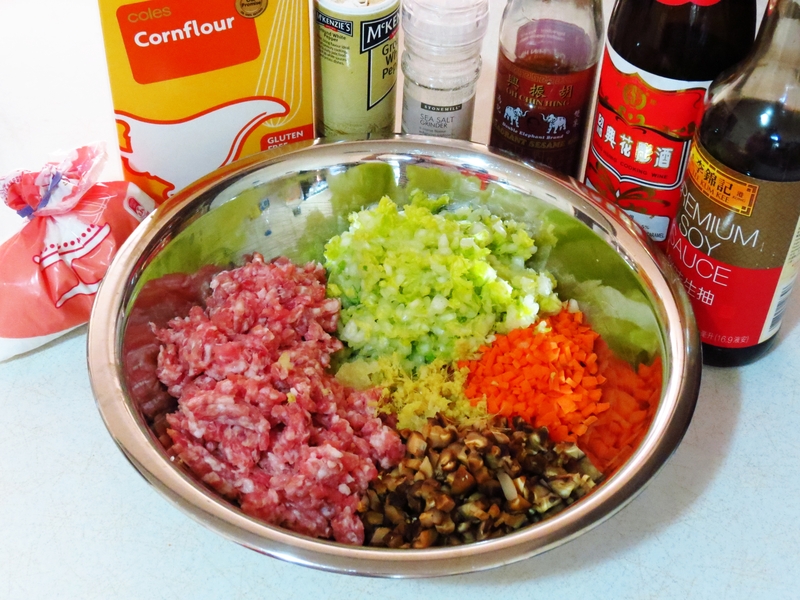 In a small bowl, combine all the ingredients for the dipping sauce and stir until well combined. Serve with dumplings.